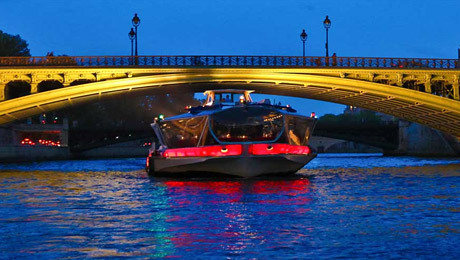 With this cruise, enjoy an unique concept in Paris ! 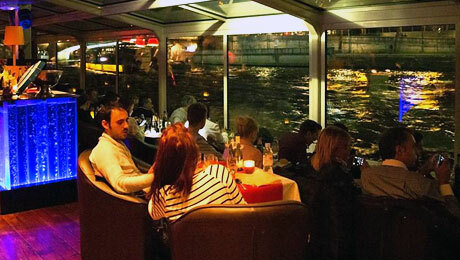 A 2 hours Seine river cruise, a cooking show with a tasting menu around 9 small dishes with a lounge singer and a DJ Live that assure an varied and relaxing atmosphere ! 3 menu formulas are proposed. 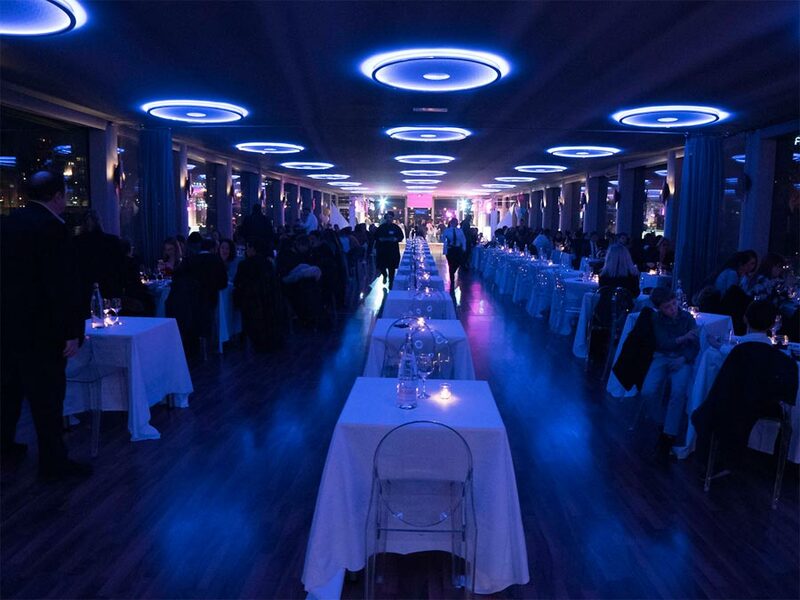 YOUR CRUISE : With your friends or in family, come and enjoy an unique and exceptionnal night. 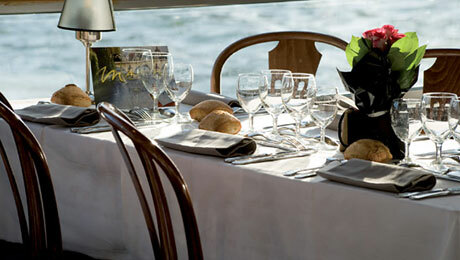 You will be in the beautiful boat dining room. 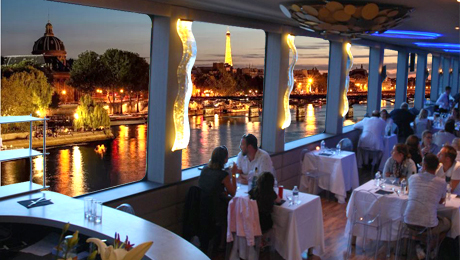 A cruise barge with a yacht appareance, with a careful design and futuristic lines, a modern warm and refined decoration : a beautiful bridge - terrace where you will taste your 9 small dishes menu. THE TASTING MENU 9 SMALL DISHES : Your tasting dinner will be make up a 3 entrances plate, a workshop "Main courses" when you will taste 3 differents tastes and a workshop "Deserts" to discover 3 differents refined deserts. The drinks including depend on the formula selected (3 choices formulas). 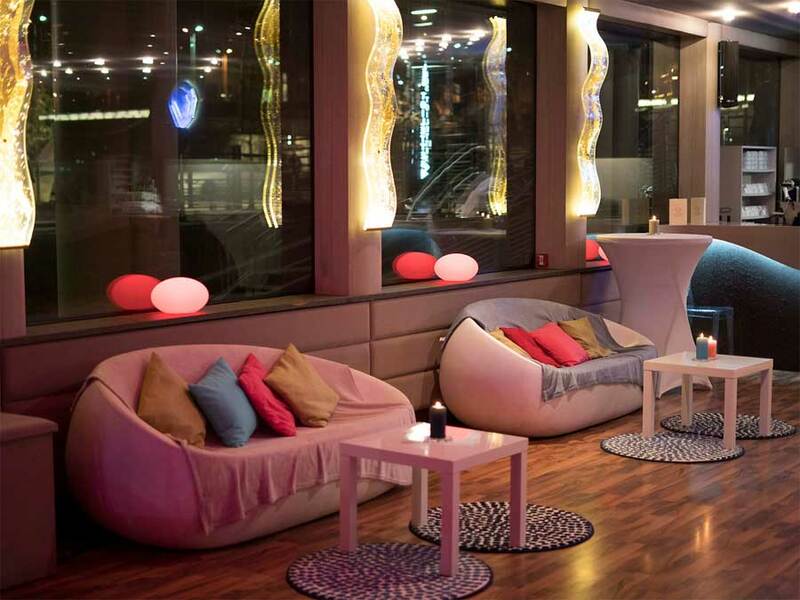 RELAXING AND CELEBRATING ATMOSPHERE :A lounge singer and a DJ Live will insure the musical atmosphere that will progress during the night, relaxing during the cruise and finish by a dancing night until 0:30am. 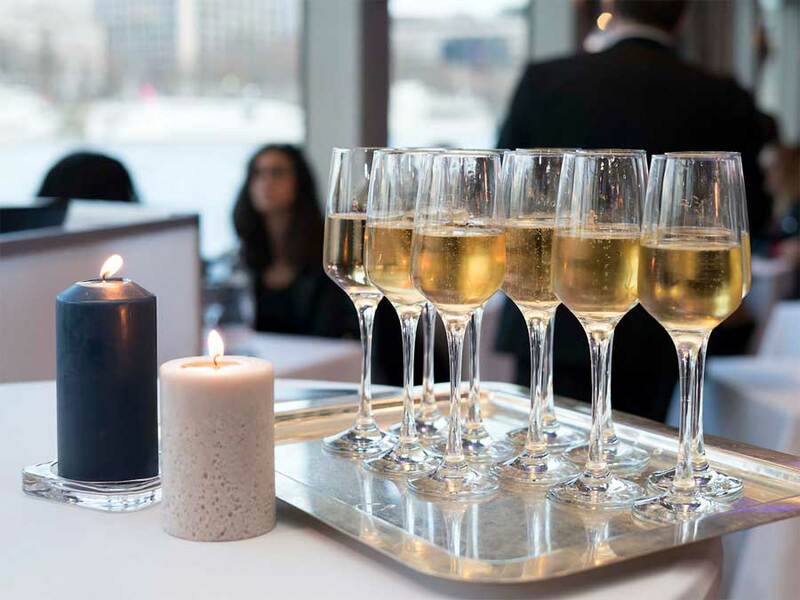 GOURMET NIGHT CRUISE PROGRAM !